Fight your Monday and Tuesday blues! 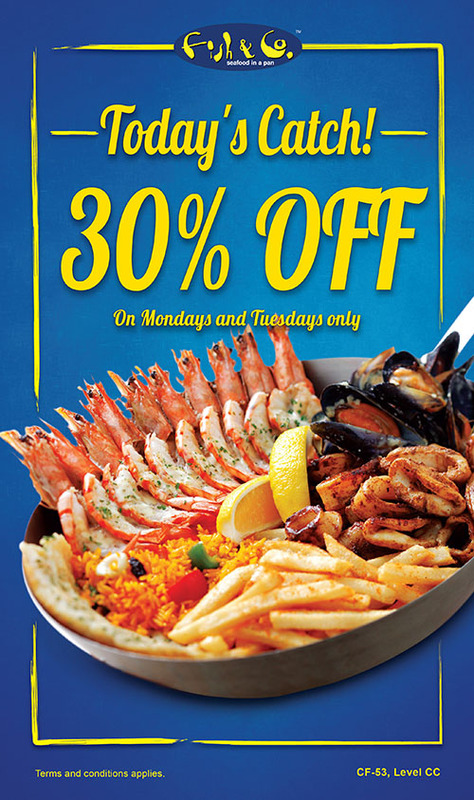 For a limited time only, enjoy Fish & Co.'s 30% off promotion! Grab a friend (or more) and head over to CF-53, Level CC today!